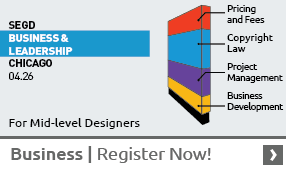 This is one of the few accredited graduate programs in the nation devoted to interpretive exhibition design. The curriculum is a balanced integration of academic, technical, and design courses. Students attain the professional skills needed to create experiences that engage, educate, and entertain audiences, and to assume the responsibilities of storytellers, communicators, and visitor advocates. 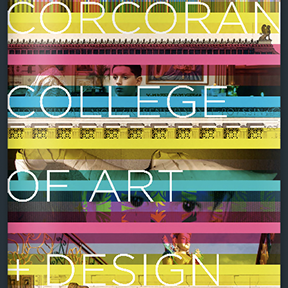 In addition to the rigorous course requirements, the Corcoran encourages students to seek internships in a diversity of museums and private design firms. Recent hosts include the National Museum of American History, the National Air and Space Museum, the National Portrait Gallery, the Textile Museum, the new National Museum of African American History and Culture, and the Corcoran Gallery of Art. Students also develop valuable professional networks through membership in SEGD at the Corcoran, the student organization of the Society for Environmental Graphic Design. Graduates of the multidisciplinary program are equipped to pursue careers in art, history, natural history, science, and children’s museums, as well as in private design firms.